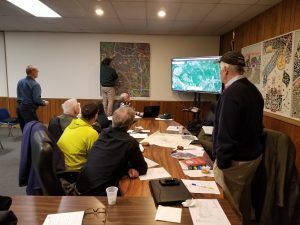 A long-term, large-scale project like the Pennsylvania Highlands Trail Network (PHTN) could not succeed without the broad-based support and participation of our many project partners. Since 2009, the Steering Committee has met several times per year to discuss PHTN routes and other trail development in the region. Participation includes representatives from municipal, state and county governments, non-profit organizations, and interested citizens. Please check our events page for information on upcoming meetings. We thank the following Partner Organizations for their active participation in the PHTN Steering Committee.